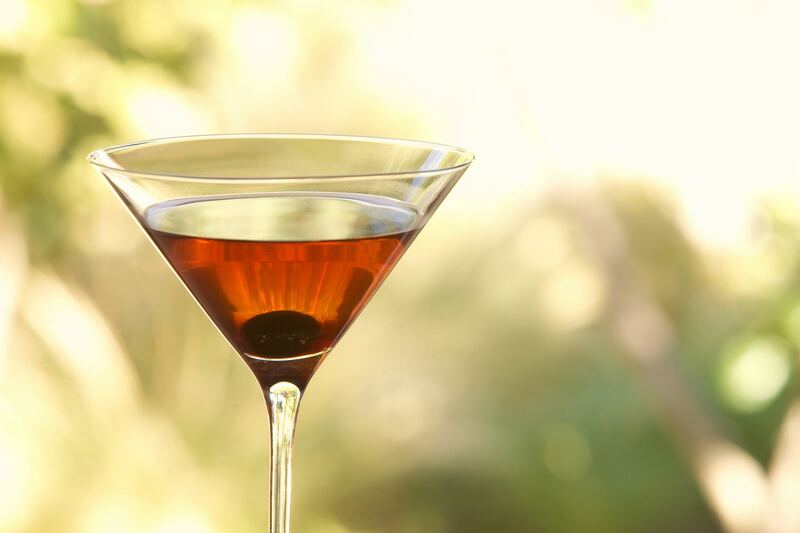 The classic Manhattan cocktail is built with 2 oz of Rye Whiskey, an ounce of sweet vermouth and a dash of bitters. This twist on the classic substitutes Nocino–an inky black liqueur made from green walnuts–for both the vermouth and the bitters. Nocino is pleasantly tannic with a syrupy texture, sweet and brooding like molasses with a very subtle lemon-tang. It handily supplies complexity with balance. The Italian Manhattan is a cocktail best sipped on a shady porch wearing white shoes and white pants. Measure 2 oz rye whiskey and 3/4 oz Nocino into a cocktail shaker. Add ice and shake vigorously for 7 seconds. 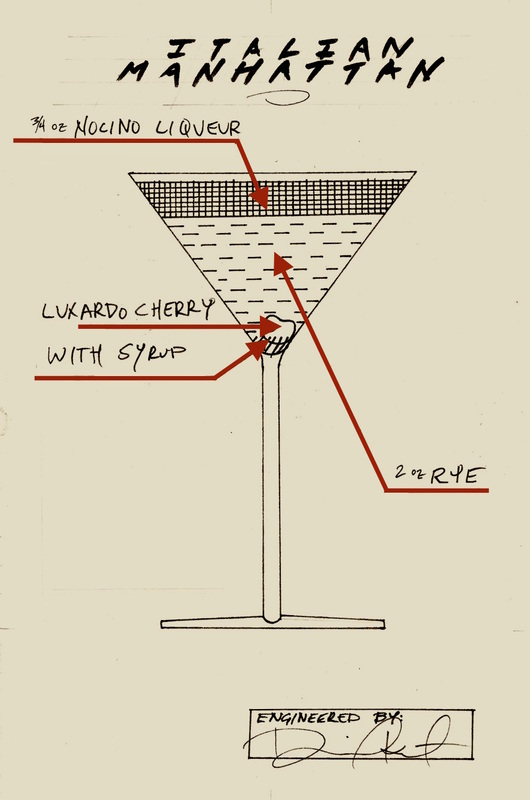 Strain into a martini glass and drop in one Luxardo cherry and a little of the accompanying syrup. Nocino is best made at home if there’s an English walnut tree in the neighborhood. A recipe may be found here, and a once-a-year class in June here. Or if patience is not possible, Nocino may be bought here. An Italian Manhattan; a shady porch. Photo by Seth Joel. Is this cocktail then, not recommended after labor day? Technically–but if you serve the wardrobe police this cocktail they’ll look the other way.